Show your love of America! Star Spangled Liberty was my second Block of the Month program for Marcus Fabrics. I have had many requests for the pattern set and enough time has now passed that I am able to offer the pattern set for sale! This is the original complete pattern set with all of the original instructions, color photos, and yardage requirements. 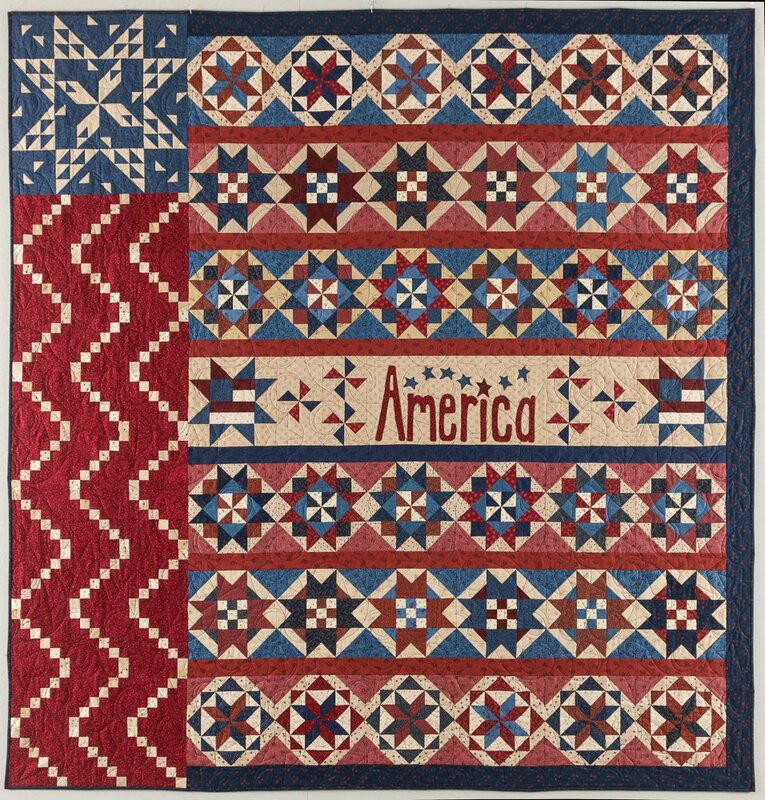 You can make the quilt in one of two versions: with the "America" applique OR an all pieced version. Instructions for both versions are included in the pattern set, as well as the bonus project! The original price was $ 54 and is now offered at 30% off while supplies last.